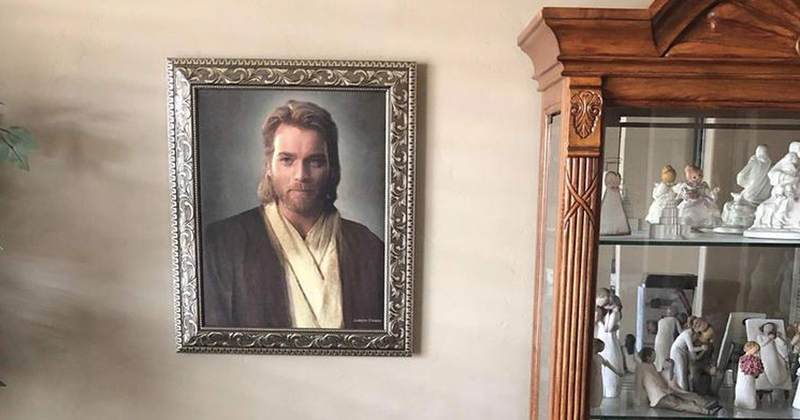 A guy from Utah played a prank on his parents by giving them a ‘portrait of Jesus’, that was actually a very elegant photo of Star Wars’ Obi-Wan Kenobi. I mean, Obi-Wan probably occupies a similar space in the hearts of many as Jesus, but in this case, Ryan thought his mum would not have found it funny. The image of Ewan McGregor in his cream and brown Jedi robes does have a likeness to Jesus, especially with the flowing brown locks, so I can’t blame his mum entirely for not knowing. Ryan shared a video of the prank on YouTube, which has now been removed, that showed his parents unwrapping the Christmas gift. Ryan told INSIDER, that his parents, who are active members of the Church of Jesus Christ of Latter-day Saints, are not too into their movies and are unlikely to have seen the full films themselves. 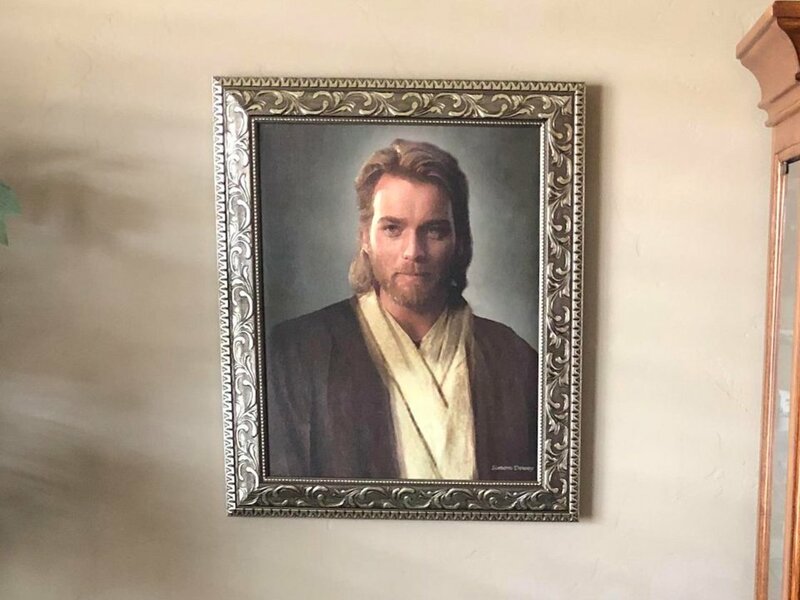 Ryan’s family have always had portraits of Jesus in their home so he thought a new portrait would be the ideal time to play the prank. It stuck out to me as looking like a picture we had growing up of Jesus. I kind of chased that thought to, how funny would it be if my parents didn’t recognise who it was and actually hung it up on the wall. I have always tried to get away with things or pull some pranks on my family members and this seemed perfect. Ryan did spill the beans to his dad, who said that his mum had commented ‘there is something off about that Jesus picture. I’m not totally sure I like it’. I hope he doesn’t get into too much trouble when his mum finds out! Perhaps he’ll have to go to confession.